Happy first day of fall, you guys! I swear, I seriously look forward to this day every single year. Because it truly is the best season of them all, in my opinion anyways. And so today I've decided to go partake in a few of my favorite fall activities. First up on my list? A pumpkin spice latte from Starbucks, of course! Because, nothing says fall quite like a pumpkin spice latte. Am I right? Looking for a gorgeous way to bring your upcoming fall wedding to life? Marsala is a beautiful choice! And it just so happens to be Pantone's Color of the Year! And I'm especially loving it when paired with soft peach tones and kraft paper. What do you think? Are you liking the way this palette comes across? 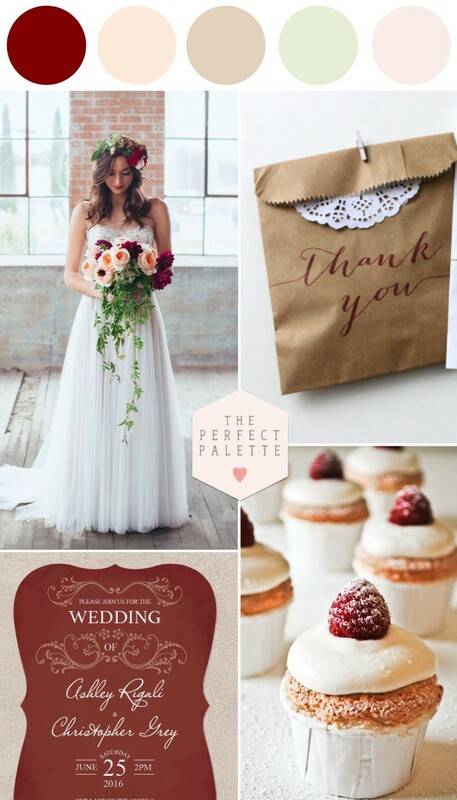 No Comment to " Marsala Wedding Ideas for Fall "